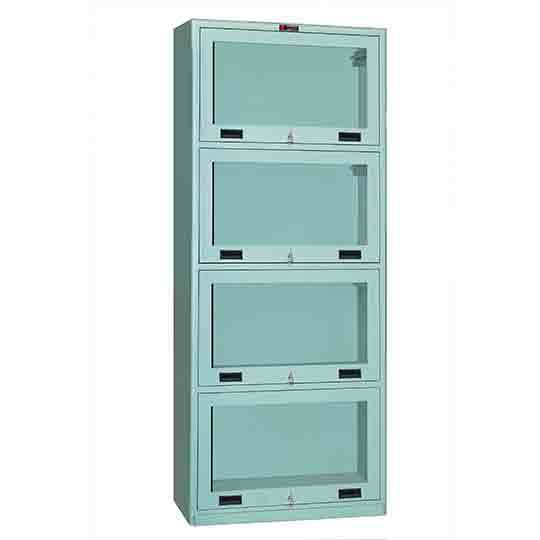 Smartly designed to store books, with individual disappearing doors and locking system with a common key for all doors. 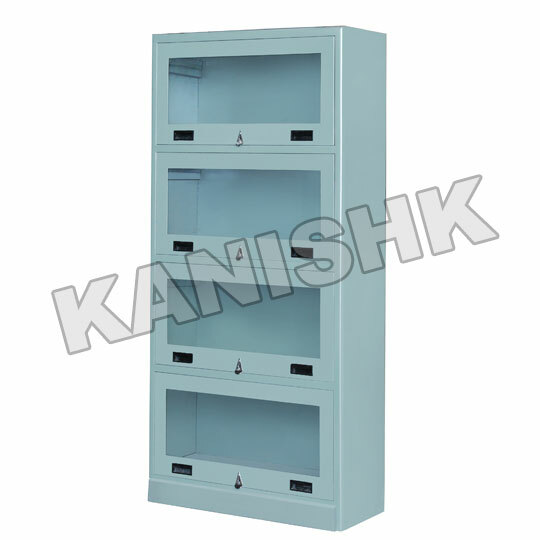 "KANISHK" Steel book case with 4 Glass Sliding Doors. 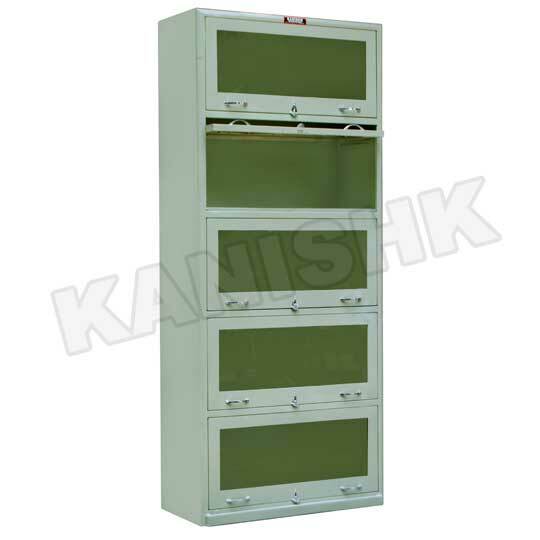 Colour : Light Grey (Structure), Powder Coated. 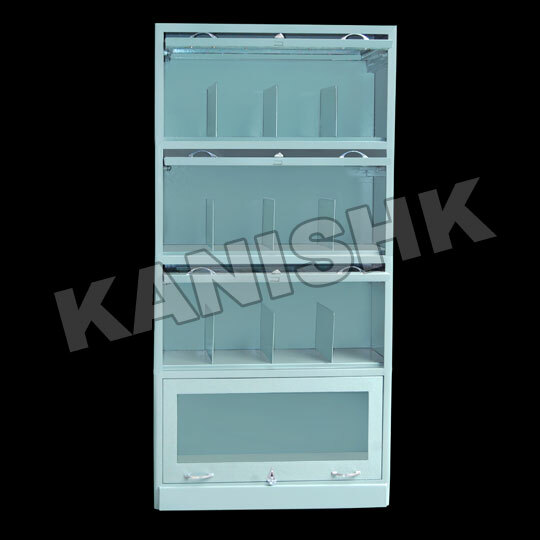 "KANISHK" Steel book case with 5 Glass Sliding Doors. All the Pictures shown here are our own Products, Manufactured IN-HOUSE, Unlike other companies who randomly take the Images / Pictures from other websites or from the Internet. Anyone downloading or using the same without our consent shall be liable for legal prosecution.